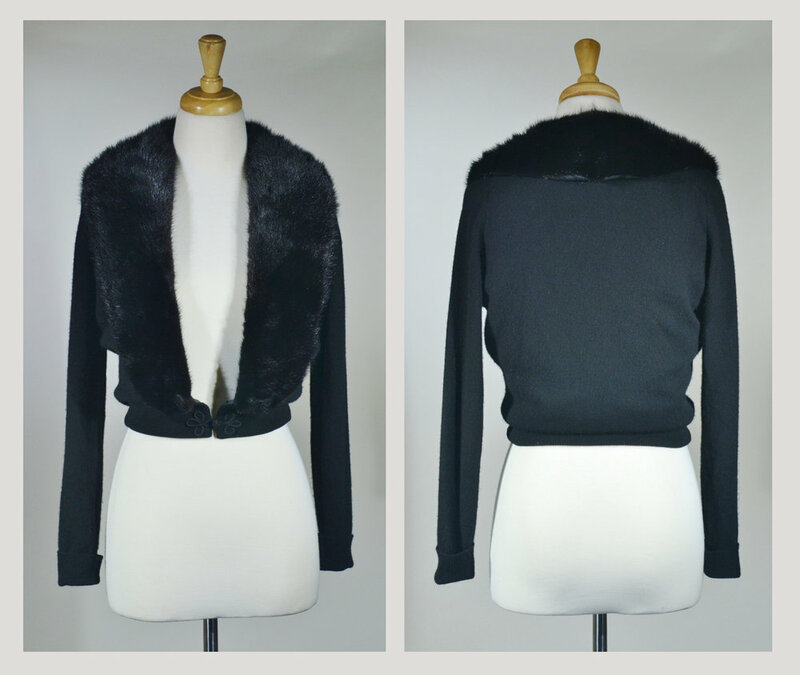 Please scroll down for images of The Ava Bernhard Altmann Cashmere and Mink Cardi modeled and in greater detail. Material: Cashmere, mink, rayon, and lace. 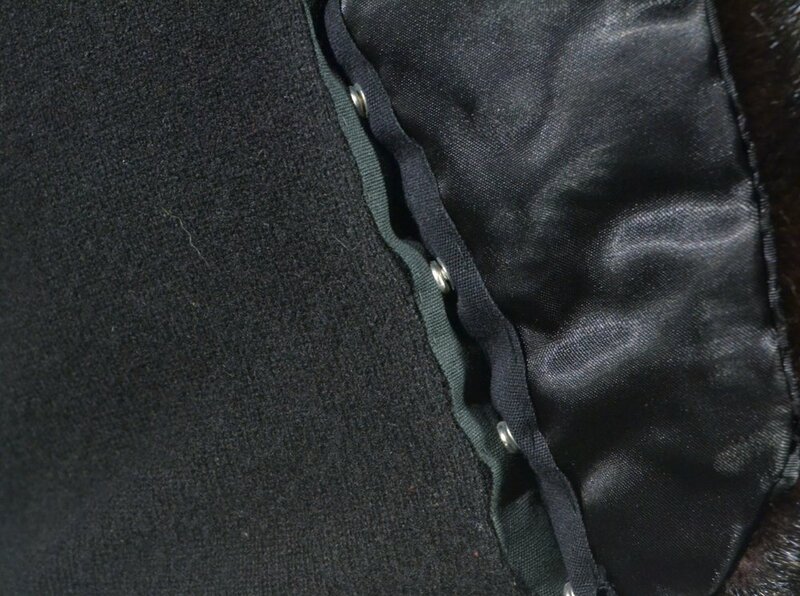 Closure: The sweater closes with a single pankou-style knot, although the mink collar is completely detachable thanks to a series of metal clasps (please see picture below for more detail). There is also a single metal hook-and-eye closure at the base of the collar to draw the cardigan together. Please note, the lining does not extend into the arms, so if you have wool issues, plan accordingly! As you'll see from the pictures below, the tag is under a layer of rayon and lace, making it somewhat tricky to make out via photo, but it's certainly a Bernhard Altmann! 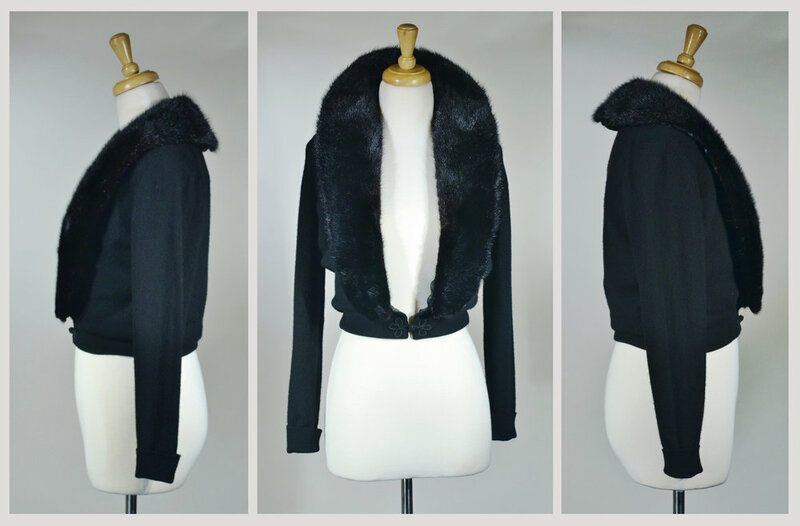 While I would never trade the lives of these minks for this (albeit, lovely) cardigan, I believe that if one wants fur - the warmest winter outerwear by far - buying vintage is unquestionably the best way to go. Full side views, with alternate collar option for front. Bernhard Altmann label, inside center near the back of the neck. Lining detail, a layer of lace covered by a layer of rayon.